The most important thing to remember is that the insurance company, or Defendant-company, is not looking out for your best interests, regardless of what they say on the phone or the manner in which they speak to you. Don’t be fooled by their pleasant voice or seeming concern. You need to remember that these are highly trained people who work for the company that just hurt you or your loved one. Their primary objective is to save the company money, by any means necessary. Over time, I have seen a few common defense tactics destroy many cases. You need to know what matters to the defense and how they will use it against you. It is certainly not an all-inclusive list, but it is helpful to know so that you can best protect yourself and your loved ones from doing something that will have a negative impact on your injury case. The three factors in a personal injury case are liability, causation, and damages. Without damages, there is no case. If you are not injured and you are cleared by a doctor, consider yourself lucky; you can now work to resolve the claim. If you only went to the emergency room to get checked out and recover in a few days, then you can usually settle this kind of case on your own. If you were in a car wreck and didn't have any injuries - check out our FREE guide: Why Get An Attorney? Handle It Yourself. We’ve all heard that it’s completely normal to not feel pain in the 24 to 72 hours after being involved in a wreck, but don’t be too quick to rule out injuries just because they haven’t appeared yet. I have handled cases where it’s taken weeks or months for the significant injuries to surface. If you are injured, make sure to get all the medical treatment necessary to recover, or recover as best you can. Your number one priority should be to get better. Many folks think that simply “giving it time” will cause an injury to go away, and sometimes that is the case; however, if you are injured or think you may be, seek immediate medical attention. One of the most common defense tactics is to argue that you had gaps in your treatment. This comes into play in a few different ways. One is that you delayed going to the doctor until a month after being hit by the truck. They will say that everyone who is truly injured will go to the doctor immediately; however, we all know that some folks just want to try to let it play out. If you are like many of the people I know, you won’t go to the doctor until you absolutely have to, and the insurance company will use this against you. Check out our article, How Do I Get Treatment If My Normal Doctor Won't See Me? Also, the insurance company will say that you did not go to the doctor office consistently enough as recommended. They don’t care if you had child care issues or the doctor went on vacation. They truly don’t care about the human aspect of these cases. They only care about what the numbers look like and what the records say. If they see that you did not go to the doctor for five weeks, they will use that as an excuse not to pay you full value. The best way to prevent this common defense tactic is to go to the doctor right away, follow their advice all the way through, and make sure that you do everything you can to fully recover. 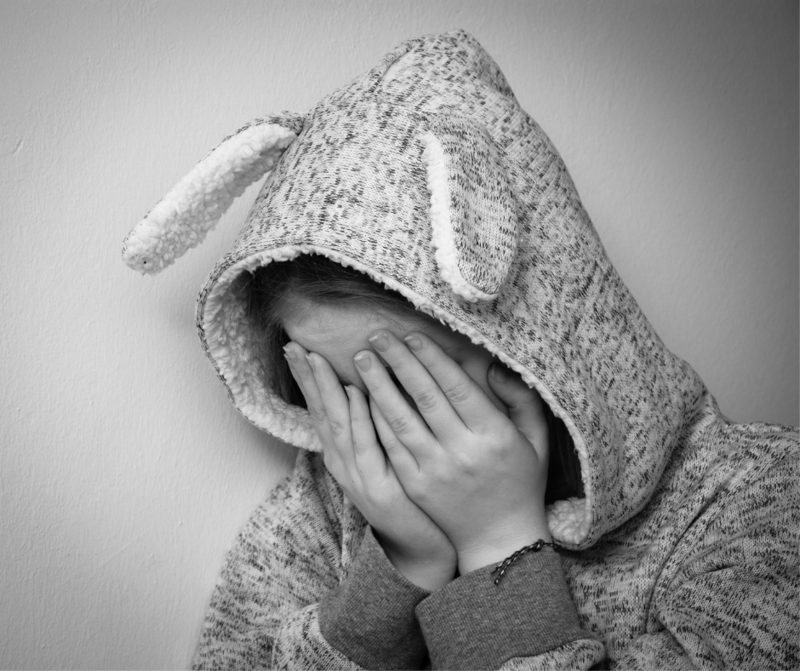 If there is a gap in treatment, make sure to let your attorney know the reason. In the end, this prevents any defense about you being a liar, a cheat, or a fraud. Inconsistent statements can be case killers. Basically, remember the old adage, “Anything you say can and will be used against you.” Well, it’s true, regarding anything you tell the insurance adjuster at any point, anything you tell your doctor, and anything you tell the person who harmed you. This comes into play when the insurance adjuster requests a recorded statement. They will tell you they just need to ask a few questions and that it’s not necessary for you to have a lawyer. It comes into play with your medical records. For example, if you don’t tell your doctor everything that is wrong with you during your evaluations but later complain about something, the defense will say you are now making it up. Once a case is under way, inconsistent statements may be the result of not being prepared for your deposition. Most attorneys don’t spend any time with their clients before allowing the other side to ask them questions. I routinely spend days with my clients prior to them testifying in any case. Just be sure to tell the truth to everyone involved in the case, including your lawyer. We need to know. If something is not right in a record, it will allow us to determine how to fix it or explain it. If your case is filed, make sure your attorney is adequately preparing you for every phase of the case. If you are about to give a recorded statement, check out our FREE consumer guide: Secrets About Recorded Statements. Insurance companies make a living off the phrase “preexisting conditions.” They created it to make regular hard-working folks like you appear to have injuries before being hit by their tractor-trailer. The best way to prevent this common defense is to be honest with your lawyer. If you have had any prior injuries, even if you don’t think they are relevant, let them know. An experienced trial lawyer will be able to research the issues you had before to determine whether they are relevant to your injuries from this event. If they are, did your prior injuries make you more susceptible or fragile? If so, then that is important for your case. If they are not related to your new injuries, then we can rule them out. Your doctor will be able to explain this. If we need to retain an expert, we will; however, if I don’t know about your prior aches and pains until you are being cross-examined on the stand at trial, there is not much I can do to prevent preexisting conditions from being harmful to your case. Even though it may be an honest mistake on your end that you forgot you went to the doctor complaining of neck pain two years earlier, the defense lawyer will make you out to be a liar. Juries hate liars. Many attorneys will not take a case if you have a preexisting condition, but I’m not like most attorneys. I like knowing your limitations, because in certain cases, it could explain why you might sustain injuries in a wreck that would not affect someone else. I expect my clients to be honest with me up front, so that we can work with this knowledge to defeat this common defense tactic. Technology has changed the landscape in personal injury and wrongful death cases over the last ten years. Many of the best cross-examinations I have put together over the years have involved information I found on the internet, especially through the defendant’s social media—a perfect example being Facebook. Social media is a double-edged sword, though, as my clients have been cross-examined on their social media as well. Please keep your social media silent if you or a loved one has been in a life-changing event. The reason is simple: the defense will find it and use it against you. They will manipulate it and say it means something it does not. For the insurance company, all they need to do is make it look like you are a liar, a cheat, or a fraud. It does not matter if it’s true; they are the defense industry. They are out to make you look bad by any means necessary. This is their new tool. If you have posted on social media about your case, then stop and make sure to let your attorney know. If you have not posted information about your case on social media, keep it that way. A frequent mistake people make is not getting a police report. Even with a minor wreck, get a police report. If the police won’t come out to the scene, you can submit a report yourself online. Plus, when you call 9-1-1, we can order the call audio and transcript notes of your call, which will show that you reported the accident and render your story that the police did n’t come out more credible. If you have a question about doing this, please call us. We can give you the information about the forms online. The reason this is important is that the defense will say it is all a “he said versus she said” case. The defense will play off the fact that there are no witnesses, other than the parties themselves, and it comes down to the credibility of the witnesses. They will also argue that if it was as big of a deal as the injured person makes it, why did not they get a police report? We all know to call the police. In big cities, especially, unless someone is visibly injured or the cars cannot be driven away, the police will not come out. This is when you need to do your own investigation. If the wreck is minor, then you can generally gather all the evidence necessary; however, if you or a loved one is involved in a serious wreck or a life-changing event other than a crash, trial lawyers can help preserve the evidence. Missing evidence and witnesses is a vital tool the defense lawyers will use against you. Insurance companies know that the longer an injured person waits to hire a trial lawyer, the more likely it is that evidence and witnesses will disappear. Trust me; they are not going to do any investigation for you. They will only do what is necessary to protect their money. This is one of the most important reasons why retaining a trial lawyer earlier than later is so effective. We know that as soon as a wreck happens, we need to send out a private investigator to get witness statements before these witnesses disappear, no longer want to help, or now conveniently “forget” because they don’t want to get involved. It’s not just witnesses that go missing, it is also the physical evidence: the skid marks on the ground; the hole in the parking lot that is now repaired days after a massive fall; the cars are sold for scrap metal, which means now we can no longer take photos of the vehicles involved; the apartment complex that puts up a security fence after a shooting; the trucking company that conveniently destroys the required documents because they no longer have to keep them under the federal regulations. Why wait? This evidence is so powerful, and the defense knows it. This is why if you won’t settle cheap and quick, they will keep you on a leash, acting as if they care just long enough to let this information disappear naturally. Finally, you get frustrated and retain a lawyer. Then, when someone like me comes along, we find ourselves missing some crucial evidence, which plays right into the hands of the defense. The most important thing you can do is be aware of their defenses. Be informed. That is what this article is for as well as all the information I provide for you. If you want to learn more, request my free book called The Essential Guide For Your Texas Injury Case. 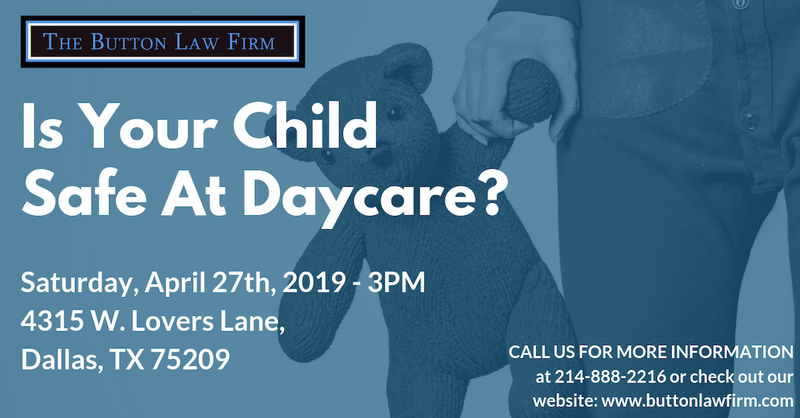 If you have questions please give us a call at 214-888-2216 or fill out our Contact Us form and we will reach out to you. We are here for you to make sure you and your family make the best possible decision when it comes to your case.